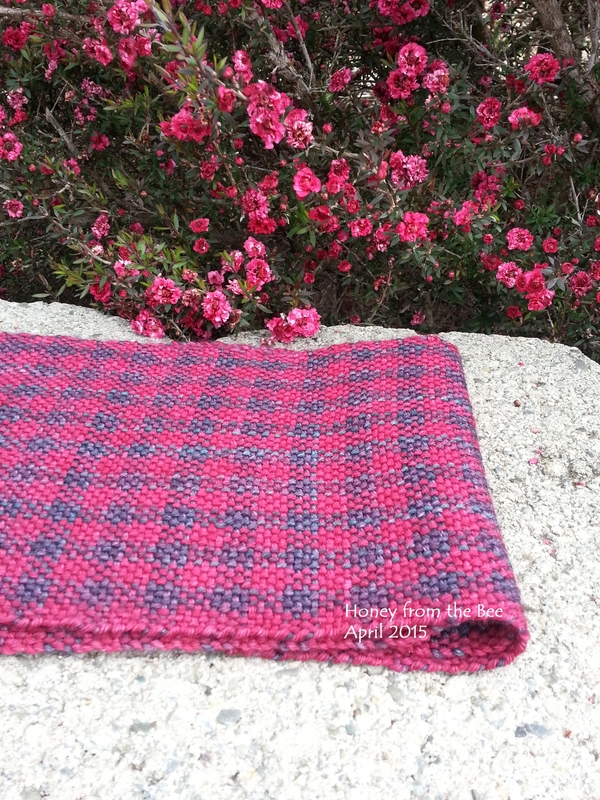 I've taken juicy shades of berry superwash merino wool and woven them into this soft plaid scarf perfect for those many cool blue jean days. The colors are deep and luscious. The red is a deep blue red. The blue varies from purple to blue jean blue. I just love the color combination so much! 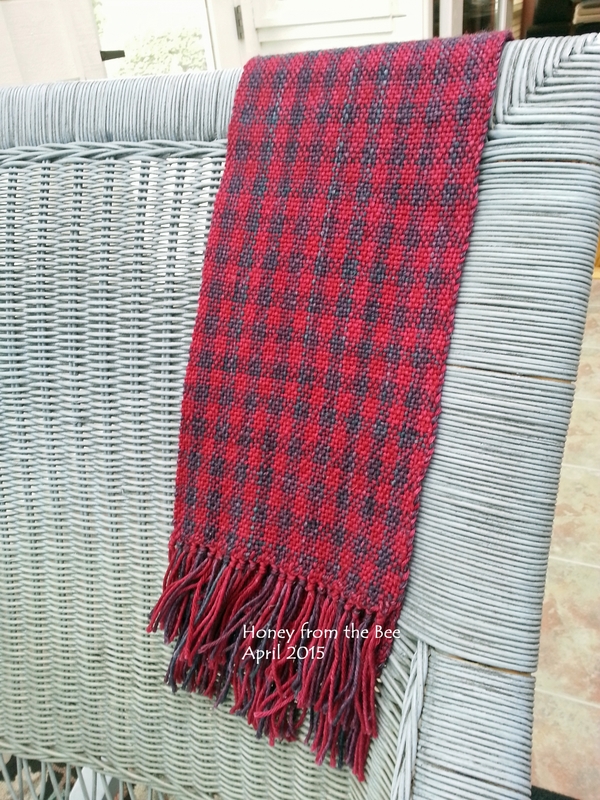 This very special yarn is made in South Africa and hand dyed in Texas in small batches. 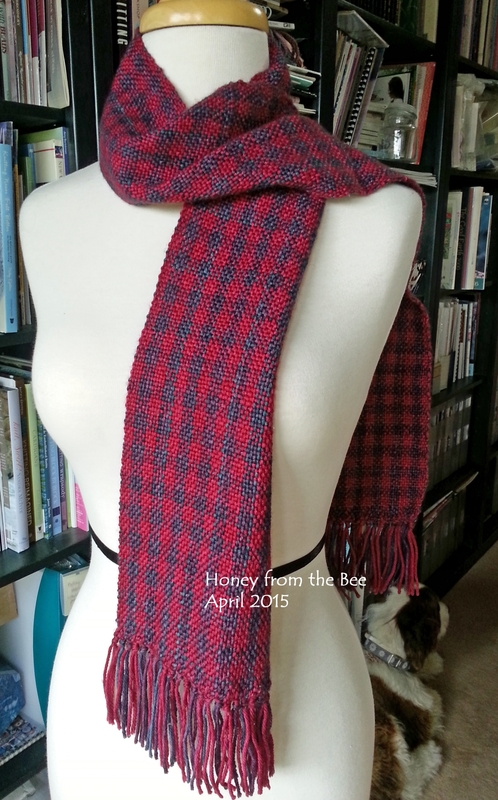 Woven scarves make lovely gifts and are much less bulky than a knitted one. Treat yourself or the one you love. 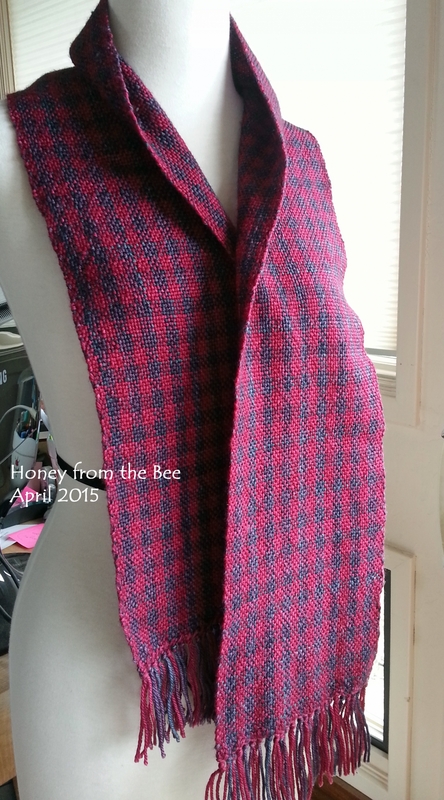 The scarf is about 6 3/4 inches wide by 64 inches without fringe. I've got a 3 inch fringe on each end. You can see how the length looks on my model. Hand wash in cold water by itself; air dry flat. Or dry clean.